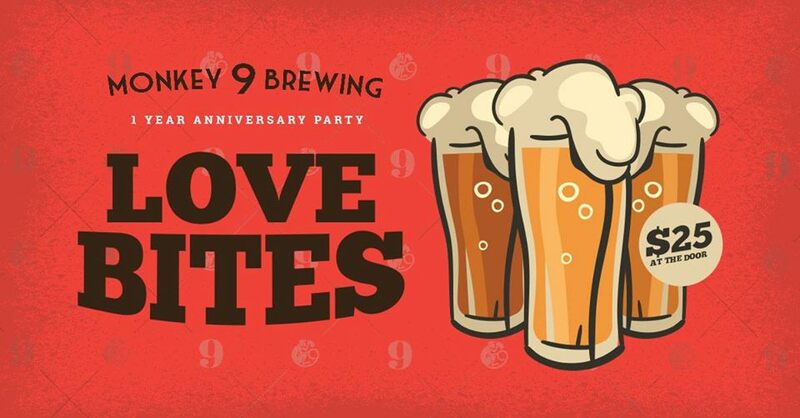 Love Bites: 1 Year Anniversary Party! Roses are red🌹, violets are blue. Join us on Valentine’s Day💕 to help celebrate our 1 Year Anniversary! Bring your special someone (or not) and let us take care of the rest. All you can eat new menu bites & Monkey 9 beer tasting*. 19+ | No reservation required.